Prof. David R. Syiemlieh took the Oath of Office and Secrecy as Chairman of the Union Public Service Commission (UPSC). He was administered oath by Vinay Mittal, the senior most Member of the Commission as per clause (1) of Article 316 of the Constitution. 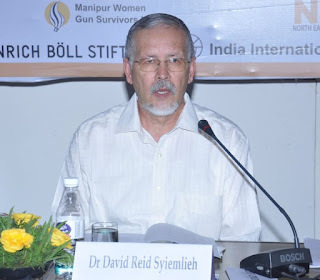 Prof. Syiemlieh had joined the Commission as member in June 2012. Later he was appointed Chairman in January 2017. Prior to joining UPSC, he was Vice Chancellor, Rajiv Gandhi University, Itanagar. He has held many important positions in various policy making, academic and administrative bodies. He has also has authored several books and publications. He was awarded Senior Fulbright Fellowship in 1999. New Species Found in Western Ghats of Kerala. This species is named Kani maranjandu after the Kani tribe in Kerala, are substantially different from other congeners. The characteristic traits of the crab include the structure of its hard upper shell, its male abdominal structure and reproductive parts and diagnostic elongated walking legs, which no other genus has, said researchers from University of Kerala. This is the first report of its kind to offer a record of an arboreal crab - a species that lives in trees. 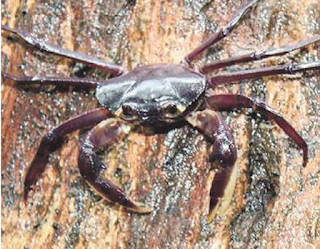 The survey of the freshwater crab fauna started in 2014 in the Westerns Ghats in Kerala. People from the Kani tribe reported sightings of a long legged tree crabs in the area. After a year, researchers were finally able to capture a female specimen and later a large adult male. "As water holding hollows in large trees are essential for the survival of this unique species, the discovery also stress the need for conservation of large trees in the degraded forest ecosystems of the Western Ghats," said Biju Kumar of University of Kerala. "It also highlights how little we know about the actual biodiversity that resides in these forests and the efforts that must still be made to find and study the many undoubted new species that still live there," Kumar said. Then finding was published in The Journal of Crustacean Biology. 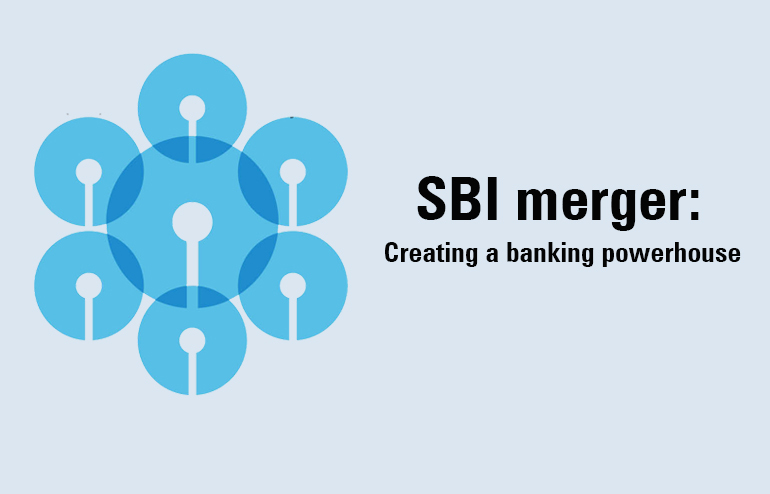 SBI’s merger with five associate banks--State Bank of Bikaner and Jaipur (SBBJ), State Bank of Mysore (SBM), State Bank of Travancore (SBT), State Bank of Patiala (SBP), and State Bank of Hyderabad (SBH) – came into effect on Saturday. Apart from these, the Bharatiya Mahila Bank, a brainchild of former union finance minister P Chidambaram unfer UPA, too was merged with SBI. With this merger, SBI joins the league of top 50 banks globally in terms of assets. With this merger, SBI’s market share has increased to 22.5-23% from 17% with total business of over 37 lakh crore rupees. The merged entity now has a deposit base of more than Rs. 26 lakh-crore and advances level of Rs 18.50 lakh crore accounting for one-fourth of the deposit and loan market in the country . SBI now has 2.77 lakh employees, 50 crore customers and more than 25,000 branches and 58,000 ATMs. Its total customer base of the SBI now has reached to 37 crore across the country. Post-merger, all the customers of associate banks will now enjoy the benefits of a wide array of digital products and services offered by SBI.